Jeti Ice Arena is closed. Just when it feels like you’ve been to all the fun places there are to go, Jeti Ice Arena’s skate disco offers you an experience like no other! 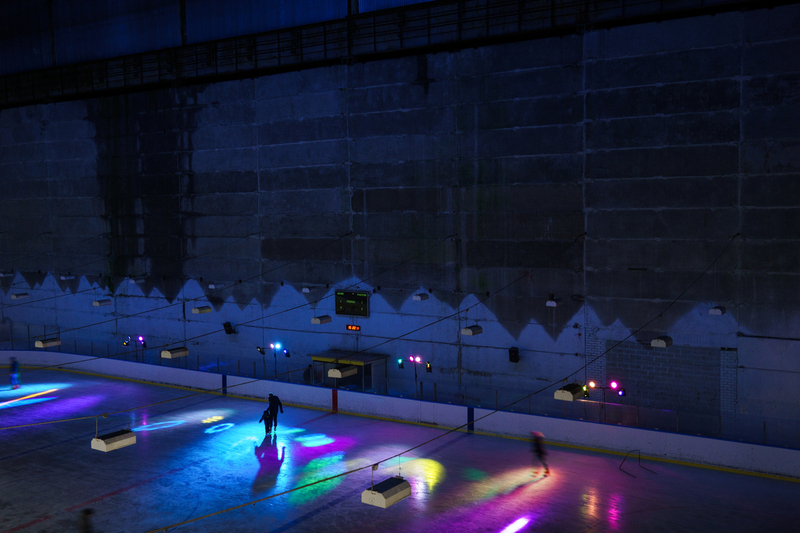 The disco lights that colour the ice and great music help you let go of everyday problems and relive your childhood fantasies. Come alone, with a partner or a group of friends – we always have room for you! And you don’t always need someone to dance with – on the ice all moves and spins are allowed. Or the other way around: gliding along while holding hands with someone special, you may even find room for heart-warming romance! The skate disco is suitable for everyone, from beginners to experts. Spin, glide backwards, on one leg or with the help of support equipment – when you’re caught up in the music you forget time and space! Dancing on skates is great physical exercise, improves your skating skills without you even noticing it and is guaranteed to put you in a good mood. Everyone leaves the skate disco with a smile on their faces! You’ll only find such a hall at Jeti Ice Arena!